When an individual begins to grasp the basic premise of chiropractic, that is, that we have a fantastically organised body that is capable of running itself and maintaining itself with very little outside help, the question arises as to why the body cannot correct its own vertebral subluxations (that is, slight misalignments of the bones of the spine which put pressure on the nervous system). If the body can potentially heal itself of any disease, why can’t it adjust a subluxation? If it can heal a fractured vertebra, why can’t it move a misaligned one back into its proper position without the hands of a chiropractor? The key to answering this question lies in the effect of the vertebral subluxation, and the fact that it interferes with the function of the nervous system. The nervous system is responsible for the coordinated activity of all the parts of the body. It is essential for the proper action of every muscle. Muscles move bones whether in the arms, the legs or the spine. Bending, sitting and twisting all require tiny muscles in the back, many smaller than your little finger, to move the bones of the spine. When a vertebra of the spine becomes subluxated, the muscles of the vertebral column will move it back into its proper position usually within a minute or two. The person never knows that he or she was even subluxated. Sometimes, however, the vertebra moves out of its proper position and subluxates, and among the nerves affected are the ones that supply the muscles with the energy to move that very bone back into its proper position. The muscle cannot work and the body cannot adjust itself. If this situation persists, the nerves will begin to degenerate, eventually to the point of never being able to move that bone back into its proper position. Research, led by Dr. Suh at the University of Colorado, has demonstrated that this degeneration of the nerves occurs almost immediately. Further, the actual shape of the vertebral joint (the articular facet) can change, making the subluxated position the “comfortable” place for the bone to be located. When this happens, we have a chronic subluxation. Chronic subluxations occur if an outside force is not introduced into the spine soon enough after the subluxation occured. That force may come from a fall, or turning over in bed, but the most effective forces for correcting subluxations come from the hands of a chiropractor. A specific force, introduced where it is needed by the body to correct the subluxation, will enable the muscles to act and allow the body to correct its own subluxations. The question that must be considered by every individual based upon this information is: “How long do you want to walk around subluxated?” Do you want the nerve damage to continue for days, weeks or months? 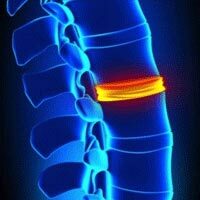 How long will it take for the body to return the shape of the joint to normal if it has been subluxated for years? It makes sense to at least have your spine checked for vertebral subluxations on a regular basis.